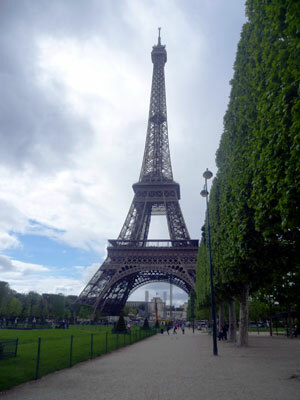 It was my first trip to Paris. Finally, after years of saving it up to go with ‘a special person’, I had found him and he was whisking me away for three unforgettable nights in the City of Love for my birthday. Could anything be more romantic? Having fantasised about the meandering streets of Paris whilst reading French literature, watching Audrey Tautou in Amelie and imagining myself taking the Métropolitain, and having fallen asleep listening to Peter Sarstedt singing ‘Where do you go to my lovely?’, I had arrived – and this was really arriving. The reception manager rushed to greet us, inquiring after our journey from London, and our luggage disappeared into a long, dark, secret corridor. The doorman dashed to press a large button ensuring our ease through the automatic revolving doors – the glass so well Windowlened it was hard to believe any person had ever passed through them. After being spun at an elegant rate of knots we stepped into a lobby resembling Kew Gardens – abundant pink tissue paper-like peonies cleverly displayed in modern vases of various heights and shapes, designed by American Jeff Leatham, artistic director of the George V and voted best hotel florist in Europe for three years consecutively. His jaw-droppingly high impact and forward thinking floristry is magnificent – creating a magical ambiance from lobby through to the Le Cinq restaurant and elevating otherwise formal public rooms to a Secret Garden. Throughout the seasons, and using approximately 15,000 fresh flowers every week, Jeff and his team of seven assistants transform the hotel. Flowers are to Jeff what paint was to Michaelangelo. How many florists get to be interviewed by Oprah? My chap adeptly concealed the North Face logo on his travel bag, considering it an “inappropriate brand for such a lavish establishment”, and I momentarily found myself staring at the marble floor – as glistening as a champagne glass – imagining the constellation of Hollywood movie stars (Sophia Loren, Vivien Leigh, Jack Nicholson) who have glided across the foyer over the years, eyes obscured by dark glasses, to their penthouse suites. 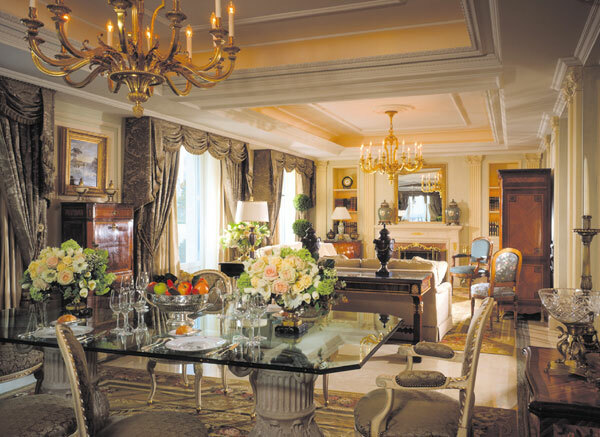 If you check in to the Royal Suite it will set you back over £15,000 a night. Imagine my amazement therefore when we stepped into the lift and the receptionist pressed button 8 for the top floor! 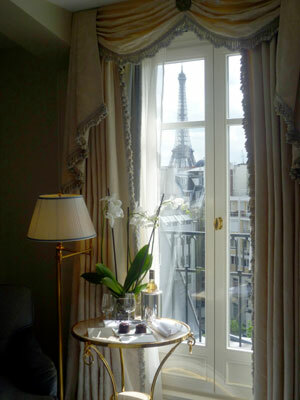 She opened the door to a ‘deluxe’ suite, a newly refurbished room that would have impressed Marie Antoinette herself; pale blue damask furnishings, a gold and crystal chandelier above a bed so high as to almost require steps, and French windows through which could be seen, wait for it…a staggering view of the Eiffel Tower! Oh joy – my first glimpse of the Tower through our very own bedroom window! On a small table set before the window were two gold leaf adorned rich chocolate cupcakes accompanied by a bottle of chilled Jurançon dessert wine and a welcome note. We stepped onto the balcony, bathed in the late afternoon Paris sunshine, and toasted to each other, to our first adventure and to the sheer hedonism of such an experience. The hotel itself is so enchanting one feels torn between wanting to be out sightseeing and missing a moment of experiencing the George V.
Dark glasses at the ready, my chap and I feigned superstardom – gliding through the lobby hand in hand and strolling past the designer boutiques and pretty macaron-filled cafés of the chestnut tree lined Champs-Élysées. Was it my imagination or were people smiling at us? We do make rather an attractive couple. My chap, leading the way, announced he had planned a little trip to the top of the Eiffel Tower. Using the old ‘press’ card, he had managed to cadge us the service lift to the second floor, where we smiled ‘bonjour’ to chefs and waiters travelling to work, and then whizzed up to the very top, jumping all the queues for the public lifts. How suave he is! Sometimes I think I’m in love with James Bond. There, safely installed inside the Iron Lady standing 1063 ft high, we drank in the Paris landscape, my chap pointing out the now infinitely small George V and our hotel room. When we returned, a little fairy appeared to have placed a gift and birthday card beneath my pillow. I don’t know how I had taken so long to notice it – it resembled an oversized (albeit rectangular) Quality Street chocolate – so outrageously shiny was the purple wrapping. The birthday card naturally featured a sparkly Eiffel Tower and the package a heart pendant necklace from my favourite jeweller. Just when it was impossible to believe the day could get any better, my chap announced that we were dining in the two Michelin star restaurant Le Cinq, conveniently located downstairs. A size 2 Betsey Johnson prom dress may look nice but is not the most practical attire when embarking on a culinary marathon at Le Cinq. Foie gras, blue lobster, Langres cheese and a sweetie trolley pretty enough for Snow White – loaded with miniature toffee apples – and I was fit to burst. 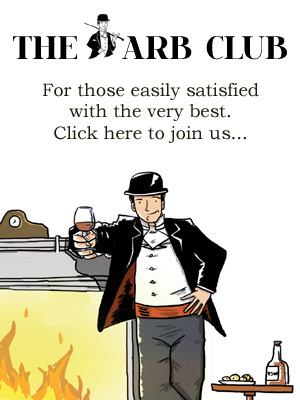 It was something of a relief to be installed in the room again where, having turned the door sign to ‘ssshhh!’, I could remove all clothing only to fear drowning in the Bvlgari bubble bath my chap had prepared. I had overdosed on calories! I later collapsed upon the cloud-like bed only to be awoken from my satisfied slumber on the stroke of midnight – positively shaken by my chap in order to see the Eiffel Tower’s five minute light show. I was bedazzled by so many flickering and shimmering lights which appeared to be dancing about solely in order to entertain us. City of Love and Lights – can the cliché really be true? Yes – it was the most romantic day of my life. Laugh if you will, but one of our childish pleasures when staying away is completing the room service breakfast card. When else do you get to enjoy pain au chocolat, pancakes, and freshly ground coffee delivered to you on a trolley? Understandably suffering from Eiffel Tower fever, I decided to doodle, in the style of Toulouse Lautrec, my own version of the landmark as a friendly greeting to the kitchen staff. Imagine my delight when I exit the super-duper power shower the following morning to find the ‘Continental’ breakfast included a chocolate representation of the Tower! My chap was informed that the kitchen had been so delighted by my (ridiculous) drawing as to present us with this edible gift. This is one of the many reasons people return to the George V. Can you imagine, under any circumstances, a hotel in London presenting you with a chocolate Big Ben? I wish. 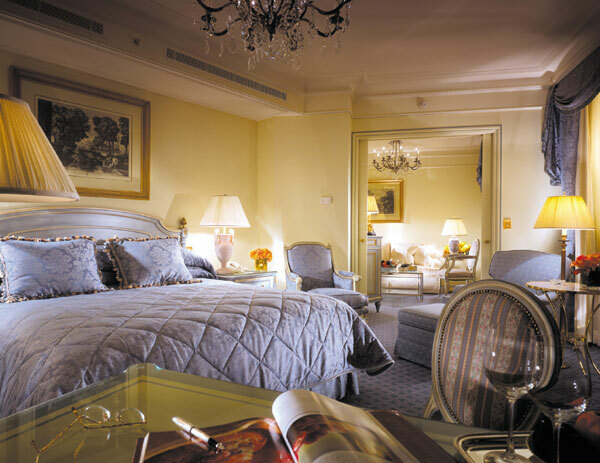 Built in 1928, the Four Seasons takeover in 2007 has not only maintained but reinvigorated the George V’s reputation as being one of the finest hotels in the world. Every public space blends classical French elegance with modern sophistication – from the fushia-pink flowers and man-made waterfall of the courtyard garden to the tapestry and object d’art filled La Galerie and womb-like wood panelling of Le Bar. Even the spa is decorated with 18th century prints and boasts being the most luxurious in Paris with a Marie Antoinette treatment package based on her beauty secrets. But what is of equal importance, and just as memorable as the decor, is the service which can only be described as a sleek, accomplished and charming affair, and makes checking out rather dreary.